Your Most Challenging Environment Just Met Its Match | Taylor Data Systems, Inc.
Ergonomics & Convenience Small and light means it’s easy to carry in a fast-paced environment – and with a web cam and stereo microphones, 8MP documentation rear camera with LED flash, and vehicle-mount capabilities, this tablet covers all the bases. When they talk about reliability, it’s no joke. This little soldier is certified for MIL-STD-810G, which is a U.S. military standard designed to test the limits of the conditions the device will encounter throughout its lifetime. This standard addresses a variety of environmental conditions such as low and high pressure for altitude, extreme temperatures (high and low) for operating and storage, water sprays, humidity, rust testing, sand and dust, vibrations, drops to concrete and more. The purpose of this standard proves that the FZ-A2 can withstand pretty much anything you want to throw at it during the normal course of your workflow process. And with a 3-year standard warranty, you can motor through the tough stuff with peace of mind. Built with the Android 6.0 (Marshmallow) operating system and Intel® x5-Z8550 processor (2M Cache, 1.44 GHz up to 2.4 GHz), the FZ-A2 is designed for demanding enterprise applications – and super powerful compared to a consumer-grade tablet. With a WWAN 4G LTE connection and surprisingly bright 800 NIT daylight-readable screen and 10-point capacitive touch, it’s even ideal for field applications. For workers on the go and across shifts, the Toughpad comes standard with a 9-hour, hot-swap battery. 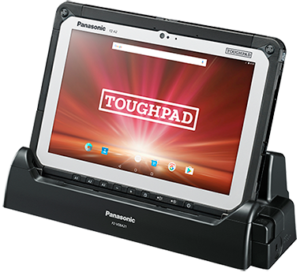 The Panasonic Toughpad FZ-A2 is great for field-based workforces. With durability, power, a whole host of options and a reasonable price point for the package it offers, it’s the ideal device for field service professionals. The quick-charging, full-shift battery is perfect for non-stop, on-the-go operations; indoors or out. rugged tablet built for durability with a sunlight viewable display for use outdoors. 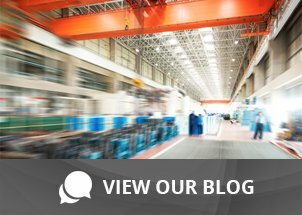 Want to learn more about this and other rugged devices for your workforce? Contact us today and get the scoop on what would work best in your environment.